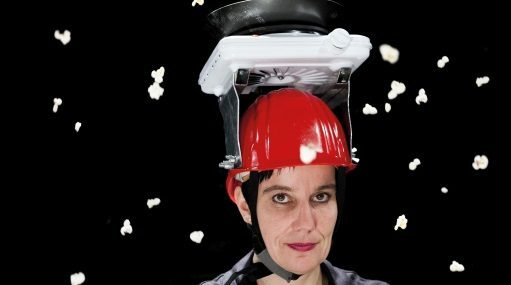 Hamburg based theatre-maker Sibylle Peters presents her exciting collaborative program in the Melbourne Fringe Festival. This Australian premiere will be co-presented by the Goethe-Institut. Sibylle Peters is founder and director of the Theatre of Research. She is a globally noted expert in live art and participatory work for children. Her works include Playing Up (toured globally by the UK’s Live Art Development Agency), 50 Dangerous Things (You Should Let Your Children Do) in collaboration with the Unicorn Theatre London, and in Denmark she presented KinderBank - an investigation of the nature of money, in which Danish children created their own Children’s Bank and their own form of currency. Theatre of Research from Hamburg is an international leader in live art works created by, with and for children and young people. Their internationally renowned program proposes that everyone is a researcher – from kindergarten children to the participants in the theatre’s accredited program Performing Citizenship. In their performance projects children, artists, scientists and citizens meet to undertake research together. The Festival will include a feature program on work for children and young people. There will be the premiere of the new work Truth or Dare at the Northcote Town Hall. Also Sibylle Peters will present her existing work Playing Up at the Substation. Furthermore, Sibylle Peters will undertake an international residency workshop and exchange program with local artists. Besides she will take part in a public talk at the Wheeler Centre for Books, Writing and Ideas. For over 35 years, Melbourne Fringe has served the independent arts sector as one of Australia’s most important multi-arts festival. It’s all about celebrating cultural democracy – the idea of art for everyone. At the intersection between art and citizenship, it presents an independent program alongside producing bold new civic artworks that enable the active participation of non-artists. Melbourne Fringe is the Olympic of art - 3320 artists present 443 shows in 152 venues right across the city.